Our approach is unique in the industry. 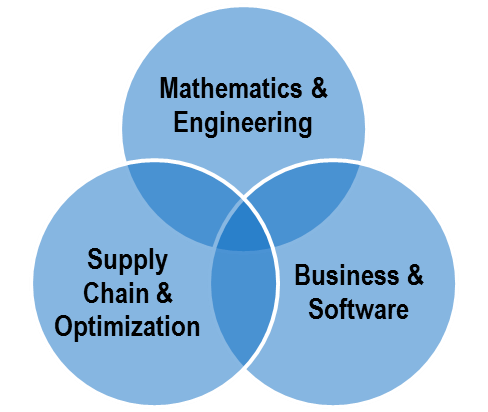 We’ve built a cross functional team that brings together the operational business experience, the technology and science expertise, and the software delivery discipline to allow for us to guaranteed attainment of your project business case. Real Reason to Believe: The overt benefit has been proven through a diverse group of reputable clients from whom we have built our reputation. Dramatic Difference: We are the first major technological advancement in demand planning in the last 15-20 years. Our advancements with non-linear technologies, along with our guarantees of satisfaction, rapid installations, and all-inclusive pricing, fundamentally change the market place. Once the improved forecast is delivered, then the question becomes, what do you do with it in order to actually realize the benefits? More importantly, what would a 25% improvement in execution level forecasting mean to the bottom line of your performance?